The Friends will be having a book sale on the second floor of the main library this Saturday & Sunday April 27th & 28th. Saturday will be the best day to find the book you are looking for. Sunday will be $7.00 a bag day, fill up on books at a great discount. The main library is located at 449 N Drylake St. 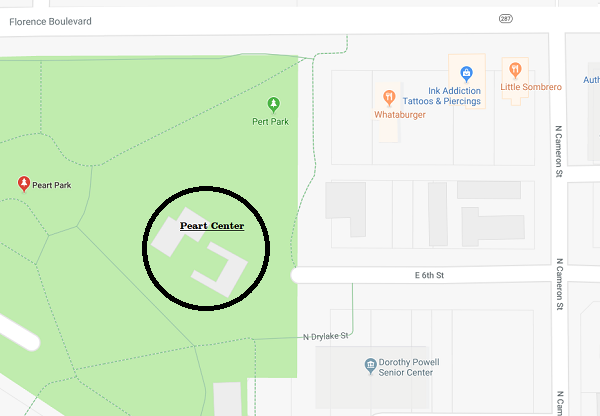 The Friends of the Casa Grande Library will be having a Spring Sale at the Peart Center located in Peart Park next to the Dorothy Powell Senior Center. There is plenty of free parking. Saturday, April 7th, will be $7 a bag day. The Friends will provide the bags. Lots of gently used books, including romance, mystery, history, cookbooks, children and young adult, as well as DVDs and CDs. We need help! The Friends of the Casa Grande Library are dedicated to improving our libraries by funding special projects such as: purchasing new furniture for Vista and contributing to the renovation at Main. Each year, we sponsor the Summer Reading Programs and keep the Bookworm Snack Shop open in the Main library. Currently we have renewed the subscription to the Advanced Overdrive System which gives special access to the Phoenix eDigital Library for Casa Grande Library user and, contributed towards the updating and replacement of computers at both libraries. Our main fund raisers are the book sales we hold during the year. We have used books for sale at Main all the time. We also have sidewalk sales during cooler weather and the HUGE book sale in January. Right now, we are looking for new members and volunteers. We need help staffing the book sales and the Bookworm. We are also looking for additional board members. The board meets on the second Monday of each month at 4:30 pm in the Main Library. Board members as well as members of the Friends group also volunteer to help staff our events. If you see our evolving libraries as a valuable resource in our community and would like to support them, please visit the main or vista library for more info. To make the world a better place for people around you? Looks for ways to help your friends and all your neighbors, too? If that’s the case, then you’re in luck. There’s something I must say. For each of us, there is a part just right for us to play. We all have something we can give to make another’s day. The library is a special place, for learning and for fun. Read a story, share a joke, tell how the West was won. But we need help from folks like you, parched by this summer sun. And we get that help from our dear Friends. They do a ton! That’s theirs to keep and read and take a second look. The furniture, the signs, and Overdrive’s bestselling book. Do you have the time? Then volunteer! If you have the means, donate. To the chorus of happy cheers. That lasts for many years.